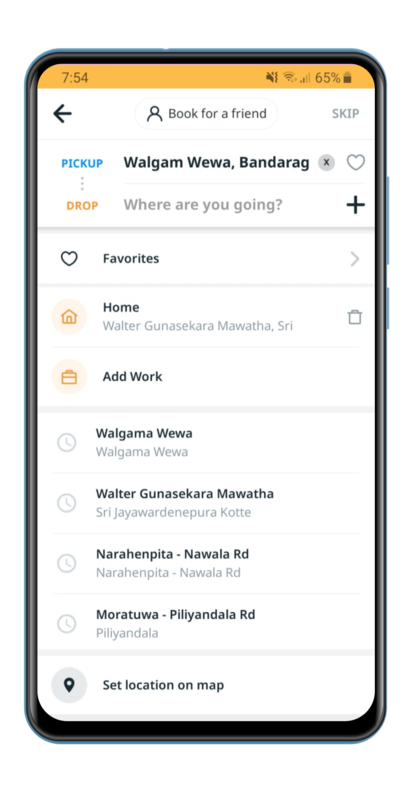 PickMe will find you the nearest available driver. 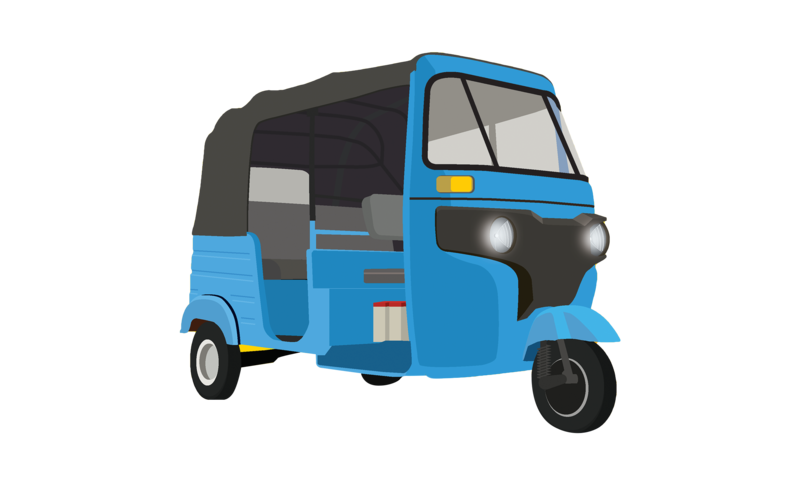 The friendly open air (non air conditioned) three wheeled taxi with a maximum passenger capacity of three, the TUK is a very common mode of transportation in our sunny island. 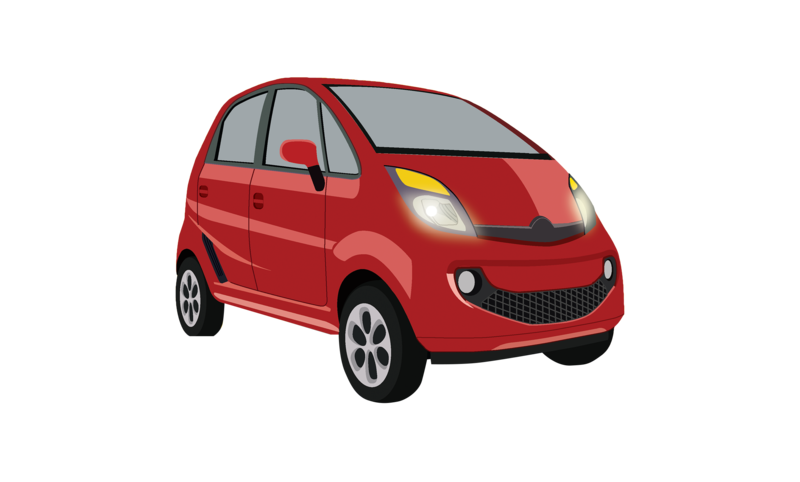 The budget friendly option for a four-wheeled, air-conditioned taxi, the NANO is a good travel choice for a maximum of 3 passengers. Not suitable for carrying heavy / large luggage. 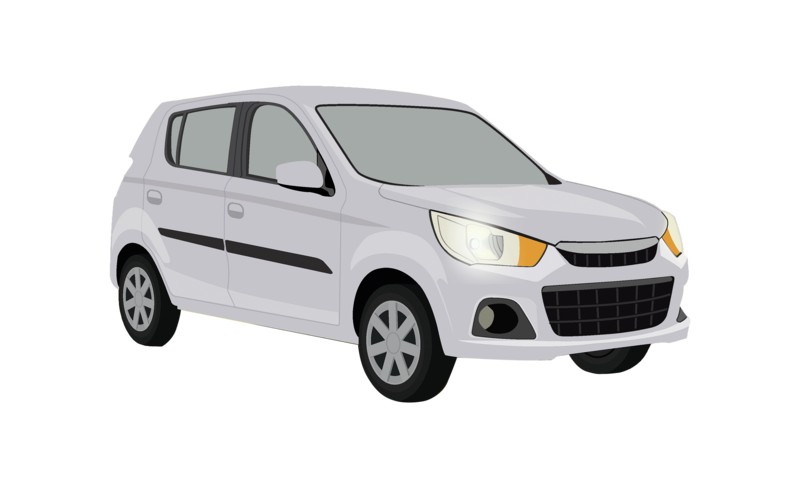 A small and comfortable car (usually hatchback) suitable for a maximum of 3 passengers or 2 passengers with more than a few bags accompanying them. A comfortable sedan with reasonable luggage space and the capacity to accommodate a maximum of 4 passengers. A economical option for a grand entrance. 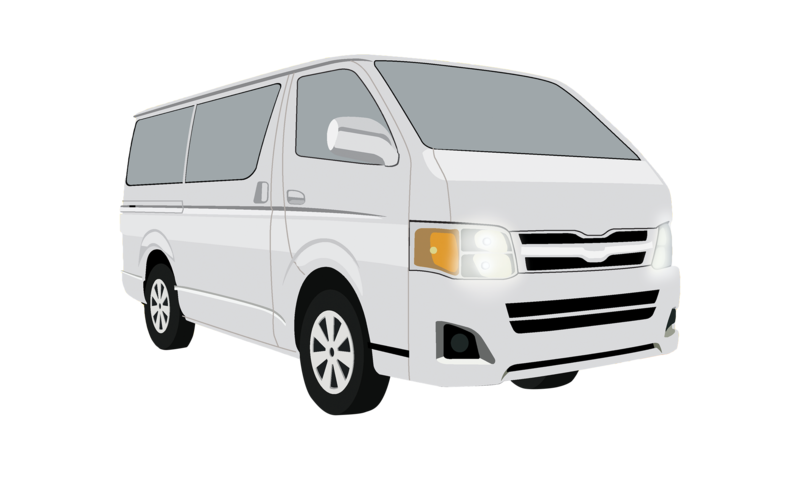 With a capacity of a maximum of 12 passengers, this is the ideal mode of transport for those traveling in packs. The van is also a good choice for luggage transport. 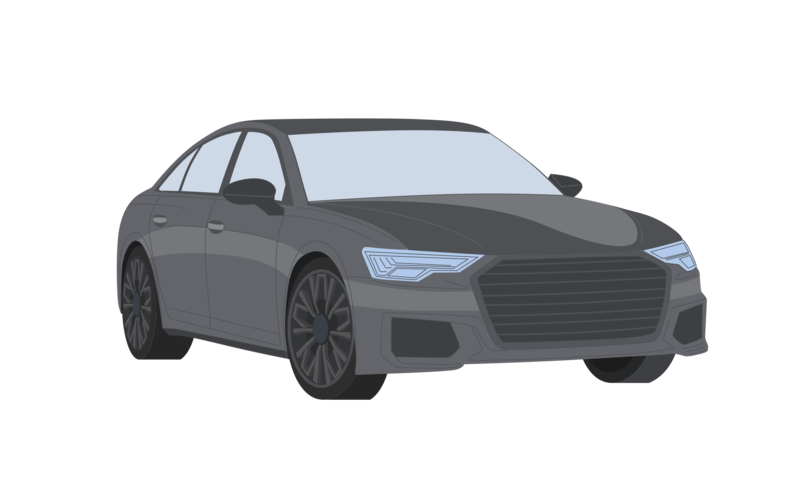 A luxury sedan that can guarantee a grand entrance to a maximum of 4 passengers. 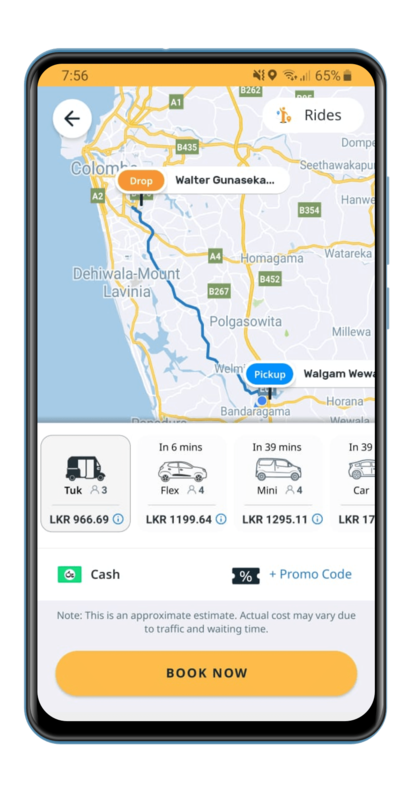 All mentioned rates are only for return rides from Colombo region/greater Colombo. 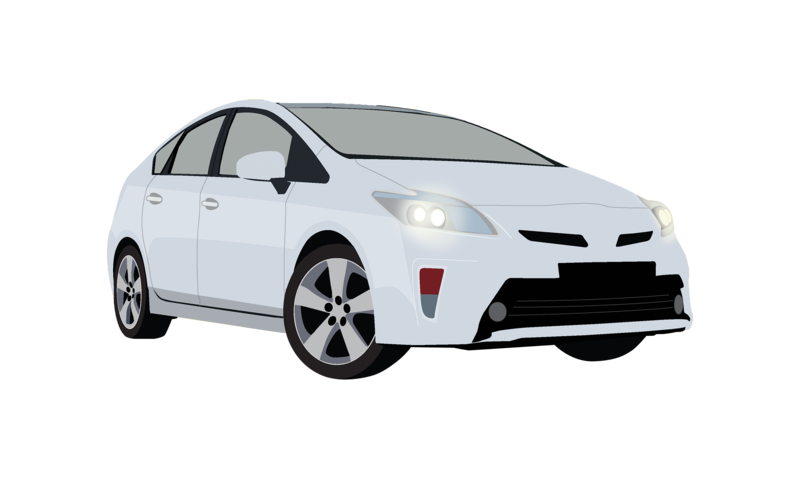 Rates given do not include parking or highway tolls. Please contact 1331 for more information. Will get back to you on confirmation. 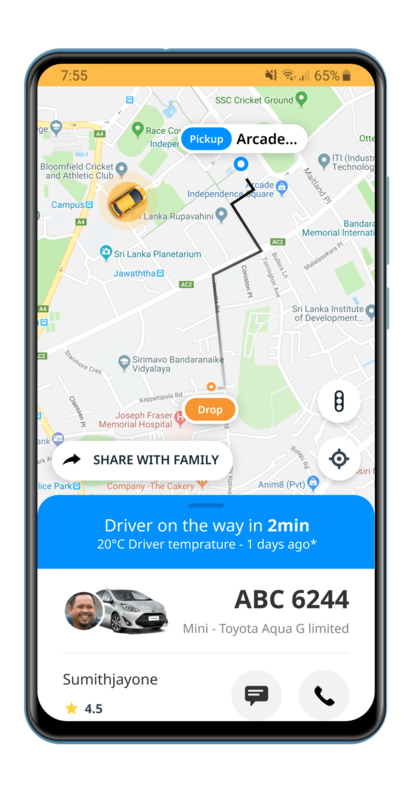 © Copyright © 2018 - Digital Mobility Solutions Lanka (Pvt) Ltd. All rights reserved.